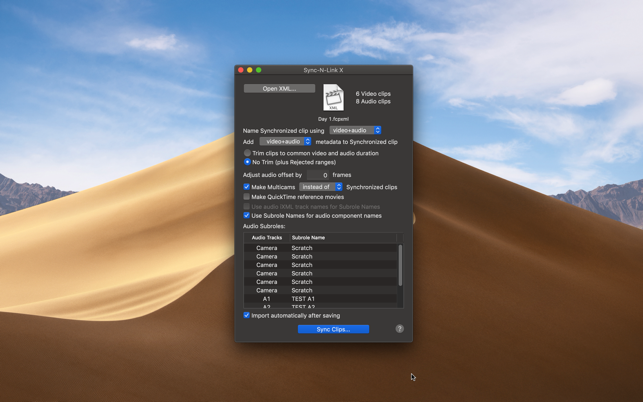 Choose whether the synchronized clips are named after the video or audio clips - the original video and audio clip names are available inside the synchronized clips. 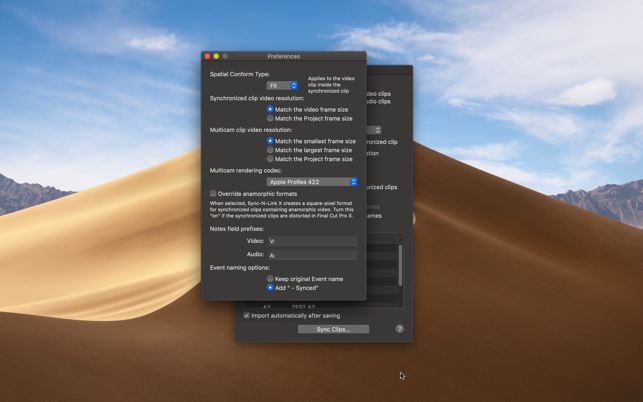 Sync-N-Link X adds a "Synced" keyword for the video range (essentially trimming the clip to the video duration). Any unused video and audio clips are marked with a "Not Synced" keyword. Great product. I used this after shooting double-system sound for a short film. Worked flawlessly in just seconds and literally saved probably scores if not over a hundred hours of work. Worth every penny.